In lieu of Independence day Cristiano Cora Studio would like to offer complimentary eye brow tweezing with your visit, not only that but popsicles to keep you nice and Coo0o0o0ol. We are celebrating this offer only through Tuesday the (29th) to Saturday (July 3rd.) Please mention the offer when you book an appointment with the us. 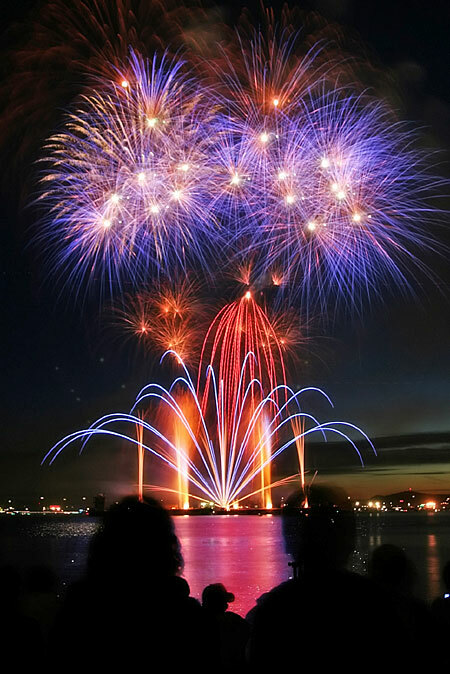 What a better way to enjoy Independence day than with your friends and family, refer us! Come one, come all. -From the staff of the Cristiano Cora Studio. On July 3rd, Cristiano Cora Studio will only be taking appointments from opening till 1pm. Have a great Independence day! 1. Avoid Stripping hair of healthy oils! Coat strands with conditioner before using shampoo. Apply conditioner to the mid-point down to the ends then shampoo as you normally do. The conditioner acts as a buffer, that can clean your scalp and roots, but the ends won’t get dry. After rinsing re-apply the conditioner to your entire head again and rinse as usual. 2. It is IMPORTANT to block the sun! Intense temperatures and UV rays can sizzle the skin and hair! Before going outside spritz a UV inhibitor or sun screen spray to protect your hair from becoming dull, dried out and loosing its shine. If your hair is long enough, try putting it into a braid and shield it as much as possible. For a quick fix use an oil based serum, they’re like energy drinks for your hair. Serums instantly hydrate and revive your hair leaving it with a healthy soft shine. If hair is fine go with a leave in conditioner, to leave a light film that will moisturize without making hair greasy, massage it into your hair in sections starting with the tips and working upwards towards the root. Products I recommend using come from the Davines line. Davines specializes in great looking and and healthy hair. The “DEDE” leave in conditioner works magically, and smells great. Not greasy, and instantly adds shine. The “MELU” serum repairs split ends, repairs hair. I highly recommend these products, because as I’ve worked with them I’ve seen amazing results. We’d like your feed back on how these tips have worked for you! As a wig specialist, I have found it very interesting to see the number of celebrities that have recently began using wigs for shoots and red carpet appearances. It is no question that wigs have become more popular in use in the past current years. Artists like Beyonce, Lady Gaga, Alicea Keys, Ciara, are great at making they’re wigs seem so natural, or so avant-garde, they are undetectable by the untrained eye. I find it very intriging to see what kind of hair styling choices celebrities make when using their wigs. Whether they are used for a more natural look, or to add edge to the wearers style, I believe that the shift has happened because of the versatility of the wigs, and because of the new edgy pop rock celebrity image that popular artists have to keep up with. Wigs allow as much edge and creativity as wanted, without touching the wearers actual real hair, so we can see why a person who changers their look constantly would love to be a wig wearer. – If you are going for a natural look, have your wig cut, colored, and styled by a proffesional to fit your face shape and skin tone. – Always wash you wigs using a sulfate free shampoo in cold water. I recommend Davines Glorifying Shampoo. – For the most natural effect, a full lace wig is the best option, because it looks as if it is growing out of the wearer’s scalp. PELUQUERIAS HAIR STYLES MAGAZINE FEATURE. I am happy to announce that we have been featured in the May issue of Peluquerias Hair Styles Magazine. 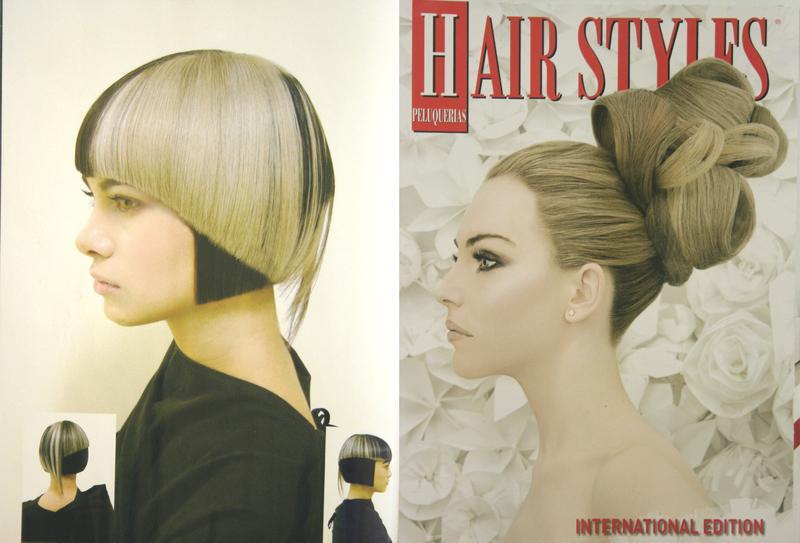 They display a full page photo of an art- deco cut done by Cristiano from a Toronto hair show held by Metro Beauty Supply. We are very thankful for everyone at Peluquerias Magazine, and everyone at Cristiano Cora Studio for the support.